Last month, I had the opportunity to “fill up my bucket” and learn lots at the Association for Talent Development Conference in Orlando, Florida. It’s a huge international conference attended by thousands of talent development professionals from around the globe. While there, I met Alan Fine, author of You Already Know How to Be Great. Alan is one of the founders of modern-day executive coaching and was speaking about how managers can have better conversations with their employees to drive performance. He said the traditional wisdom that we all need to just learn more by reading a book, hiring a consultant or coach, taking a class, is just not true most of the time. 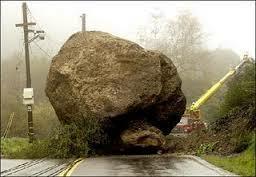 Our biggest obstacle and the obstacles of those we lead isn’t knowing what to do, it’s doing what we know. In a nutshell, driving great performance is not about knowledge acquisition, it’s about knowledge execution! But how do you help coach both yourself and your people to execute on their knowledge? To do what they know? That’s where Fine has stumbled on a simple, but powerful discovery in his early work as a tennis coach and later as an executive coach: you remove interference. Think about it. It certainly makes sense. When have you done your best work? For me, my best work has been accomplished when I have had the support from a leader who was able to remove significant obstacles in my path, like providing funding for a new program, sponsorship for a joint venture, or just giving me space and time to innovate. What obstacles or barriers are getting in the way of you doing your best work? What can I start doing to support your success? This entry was posted in Accountability, Developing Capacity, Engagement, leadership challenges, performance management and tagged interference, performance. Bookmark the permalink.